There are 4 recommended films to watch on Turner Classic Movies in the U.S. this month. The first is John Huston's classic adventure The Treasure of the Sierra Madre. Despite Max Steiner's persistent musical references to the contrary, The Treasure of the Sierra Madre is not really about "adventure" per se; rather the focus is on 3 distinctively engaging characters, their collective dream of striking it rich and what befalls them when they do. As far as the probing nature of this subject is concerned, it has no peer. The "adventure" begins on TCM (updated) Saturday, February 23 at 10:15pm PST. TCM's current monthly schedule can be confirmed by clicking on the above image. For those who live in parts of the U.S. other than the western region, the time zone can be adjusted in the upper right-hand corner of the schedule. Much has been said in the storytelling arts about the effects of sudden wealth on the human spirit, especially “gold.” It is also slyly alluded to in this film by the older, wiser member of the trio, actor Walter Huston’s Howard. Although each character is given an abundance of creative distinction, it is clearly Humphrey Bogart’s Fred C. Dobbs who alone fully succumbs to his inner demons and singularly dooms their collective enterprise. Is it really greed, though, that brings Dobbs down? Perhaps on the surface. After all, he does wind up with the entirety of their gains for a spell, but there is ample evidence that it’s really something else, something deeper that’s taken hold of him. Consider an early scene, for example, in Tampico when Dobbs and Curtin (Tim Holt) get stiffed by an employer they later find in a bar. Dobbs after winning a brutal fight only takes the money owed to Curtin and himself from the unconscious thief’s wallet, even though there’s much more dough there. When Dobbs wins the lottery he generously shares the reward with his partners even though they make it clear he wasn’t expected to. The most fascinating clue as to Dobbs’ lack of greed, occurs much later in the story when he suspects Curtin has discovered, and is about to retrieve, his share of the gold in Dobbs’ hiding place under a rock. We know he’s wrong: Curtin is only after a poisonous Gila Monster. Here, we see no indication that it is the others' gold Dobbs is after. His singular concern is to protect his own. Irrational as his paranoia may be, it is the first step down a path that leads to his psychosis and later murderous actions, including his vote to gun down an unarmed stranger (Bruce Bennett) who stumbles across the trio. If Dobbs was after more gold, why not use the gun he's already pulled on Curtin to get to his stash? How about following at night to where Curtin and Howard keep theirs? The hiding place scene also plants the seeds of fear that will grow tall, result in madness, until finally strangling Dobbs’ resolve to successfully complete the mission on his own. Ironic indeed that it is his mad choice to be all alone, with the phony promise of his partners being right behind him (not having anything to do with the gold at all) that puts the final nail in Dobbs’ coffin. My next recommendation was also directed by John Huston but is a "treasure" of a different colour: Reflections in a Golden Eye. If this movie was a soufflé you'd have to say the finished product was burnt. Is this Tennessee Williams on steroids? No, it's Carson McCullers directed by the great John Huston. Why then do the results teeter on the edge of camp? My guess is that the filmmakers wanted to embellish the proceedings, to make them more dramatically significant than the simple narrative could withstand. This is symbolised by the decision to present the film in a dreary golden tint. Not all aspects of this melodrama are over-heated, however. Many critics have mistakenly skewered the performances, confusing the actors with the admittedly idiosyncratic characters they so authentically inhabit. To this reviewer, the restrained performances by its talented cast make their actions believable, and are the primary reason this motion picture is so enthralling and fascinating to watch. Consider the movie's lead, Major Weldon Penderton: a complacent but bored officer with a ditzy wife (Elizabeth Taylor) living on an Army base in the deep South who also happens to be a latent homosexual. At the story’s finale, he's involved in murder but aside from some wild camerawork, the act is treated as incidental whereas the earlier incidental happenings are mistakenly over dramatised. In conclusion, there's simply not enough genuine depth in the material needed to fully raise our concerns. But hold on, this Army officer is being played by the great "method to the madness" (and vice-verse) Marlon Brando. He consistently displays an ability to communicate a most sincere depth of feeling by injecting his patented style of nuanced psychological traits. In addition, Brando successfully conveys his character's deep-rooted guilt complex, not unlike the one suffered by Marcello Clerici, Bernardo Bertolucci’s primary subject of interest in The Conformist released just 3 years later. This provides an excellent example of why so many of his fellow thespians describe Brando as the best actor they've ever worked with or witnessed. It's not just Maj. Penderton's homosexuality that's repressed. His military environment does not provide a single outlet for any of his tightly held-in emotions. This is very convincingly expressed by the great actor in varying ways. For example during his soliloquy to his enlisted men on leadership what Brando conveys inside as an occurring nervous breakdown, he outwardly exhibits as a temporary distraction. Then there's the scene with the stallion Firebird, his wife's most prized possession. Penderton chooses him for a solo ride to prove his manhood after being out-ridden and virtually ignored on a previous outing with his wife and her secret lover Lt. Col. Morris Langdon. The horse bolts and takes its inexperienced rider on a terrifyingly fast interminable journey through the woods with the Major unable to slow its speed. He sustains multiple cuts by tree branches before finally falling off. The horse stops and Brando tellingly reveals the complex inner rage for not only the injuries and humiliation suffered during the ride but for all of his past pent-up frustrations and disappointments. This is a most captivating display of emotional intensity that the Major is only able to express when it's just the horse and himself out there in the woods... or so he thinks at first. Furthermore, the actor skilfully suggests his character's sudden fear that for every brutal lashing he's unleashed on his wife's most coveted horse, he will have to answer for from his dominating Mrs.
Co-star Elizabeth Taylor insisted on Brando's casting when others were being sought. As a result there seems to be a lift in everyone's game especially Brian Keith's heartfelt Lt. Col. Langdon. Keith elicits so much unsolicited sympathy over his deteriorating relationship with his neurotic wife Alison (Julie Harris), the actor's accomplished performance here may even outshine that of Brando's. 'Reflections' will appear on TCM (updated) Friday, March 16 at 7:15pm PST. My next TCM recommendation is Diary of a Country Priest a.k.a. Journal d'un curé de campagne (1951, France), director Robert Bresson’s emotionally devastating exploration into the life of its title character. This is cinematic storytelling at the highest level, an unflinching insight into a faith practitioner’s inner soul, a depth rarely reached even in the arts' most magnificent representations. Like the priest's chosen path of austerity, this film is stripped of artifice. Nothing witnessed seems contrived. There is no “acting”, no sense of dynamic manipulation, no cleverness in the editing or dialogue. Viewers brought up on a steady diet of implanted dramatic “pay offs” will starve here. The resulting tidal wave of profundity is a cumulative effect. Although naturally occurring, the young priest’s encounters with fellow clergy and parishioners alike are fraught with their lies, insults and degrading remarks, compounding his tragic outcomes, doubts and despair. Even his physical health is in serious decline. He’s sapped of energy, appearing sickly and forlorn. Yet, the more dire his circumstances become, the greater spiritual strength he summons to soldier on. His faith endures, despite fate’s supreme hardships. In the end, Bresson miraculously makes his priest’s tragic journey a spiritually uplifting experience. This deeply felt and honest voyage into a young man’s internal struggle to deal with a cruel and unforgiving reality is one of the Top Ten World Cinema Treasures. The ‘diary’ will be shared Friday, September 25 at 8:45am PST. My final TCM recommendation will provide some lighthearted comic relief after witnessing the profound tragedy of the above selection. It is the best of all screwball comedies: Howard Hawks’ Bringing Up Baby. This film is inspired lunacy: a delicious romantic farce, with unpredictably creative situations and hilariously witty dialogue that moves at the director’s typical breakneck pace. Stars Cary Grant and Katharine Hepburn have more chemistry than the Scripps Institute. You’re bound to miss many of the sensational one-liners (containing countless sexual innuendos) simply because you’re laughing too hard at all of the others. Every single character is crazy. There are more nuts here than are sold at a ball game. The antics start on TCM (updated) Sunday, April 14 at (early morning) 5am PST. The September Soundtrack recommendation is John Williams’ emotionally charged score to A.I. Artificial Intelligence. This fairly recent and limited 3 CD set released from La La Land Records contains far more music than the originally produced soundtrack. Williams makes us feel as if we are part of this visually spellbinding future world with his Philip Glass-like musical phraseology and emotionally envelopes us in the warm embrace of a lyrical main theme (performed several times on CD as a song). There is also the shocking hard-rock dissonance heard during the terrifying robotic destruction show. Although I believe Spielberg tries too hard to wring every last drop of sentiment out of numerous narrative situations, the same cannot be said of Mr. Williams’ sensitive but emotionally stirring musical contribution. This very special release is available from Screen Archives Entertainment. More information about this definitive soundtrack can be seen by clicking on the image. A Happy Birthday shout-out to shining star Angie Dickinson, who turns 84 September 30th. 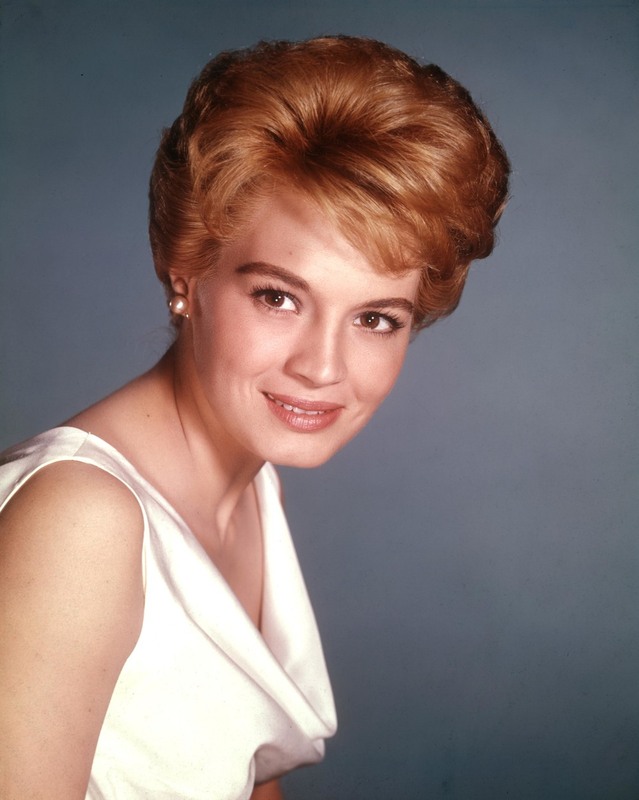 She’s provided her unique charisma to numerous characters for us to cherish, performing with many of cinema’s most distinctive male stars like Robert Mitchum in Man With a Gun, John Wayne in Rio Bravo, Frank Sinatra in Ocean’s 11, Lee Marvin in The Killers and Point Blank, and Marlon Brando in The Chase. My Blu-ray recommendation for the month is Paul Verhoeven’s 2006 WWII epic Black Book. In the Nazi-occupied Netherlands during World War II, a Jewish singer who narrowly escapes a Nazi organised execution becomes part of the Dutch Resistance. Later, she goes under-cover and manages to infiltrate the regional Gestapo headquarters. This director has been around for awhile and given us some pretty mediocre films (at best) like Basic Instinct, Hollow Man and Starship Troopers; even the dreadful Showgirls is his. Occasionally Verhoeven applies his writing and directorial prowess to less sensational material, worthy of his talent, like The Fourth Man and Soldier of Orange. These latter mentioned artistically accomplished pair of films have the added distinction of Verhoeven’s collaboration with writer Gerard Soeteman as is the case with Black Book. Keep in mind this team also gave us the film Flesh + Blood (the perfect moniker for Verhoeven’s entire oeuvre), and in Black Book they skimp on neither. A fortune was spent on this WWII thriller demonstrated by its stunning period recreation courtesy of Wilbert Van Dorp’s expert production design. The sumptuous visuals are perfectly aligned with Anne Dudley’s exceptional music and Karl Walter Lindenlaub’s vivid photography. Carice van Houten (better known to many as Melisandre in TV’s Game of Thrones) is mesmerising as the young Jewish singer Rachel Stein. Posing as Ellen De Vries she has a scene with actor Waldemar Kobus’ despicable Nazi, Günther Franken who ordered the execution she alone managed to escape. She is coerced into singing while he whistles practically “cheek to cheek” in accompaniment. This reminded me of the “Leaning on the Everlasting Arms” duet with Lilian Gish and Robert Mitchum in The Night of the Hunter, only here, Rachel has to unwittingly accompany her Nazi nemesis to maintain a pretence of being “one of them.” No matter the reason, the contrast of good and evil coming together for a few moments is electrifying. The acute realism in this and many other scenes in Black Book derives in part from its creative reminders that absolute evil does not always appear as such. Wickedness often hides beneath a veneer of benevolence, therefore becoming less distinguishable and even more insidious. In addition, there are members of both groups who are not what they seem at first, further increasing the film's complexity, tension and suspense. The film’s only deficit are occasional scenes that feel rushed, especially those that would otherwise elicit a stronger emotional response from the characters. Overall, Black Book is an intelligent, sophisticated thriller, deserving of being seen and heard in all of its glory on Blu-ray. It is available from Amazon U.S. by clicking on the image.